New work reported here was done at 2m resolution, although the improvements have been incorporated into the 10m products as much as possible. 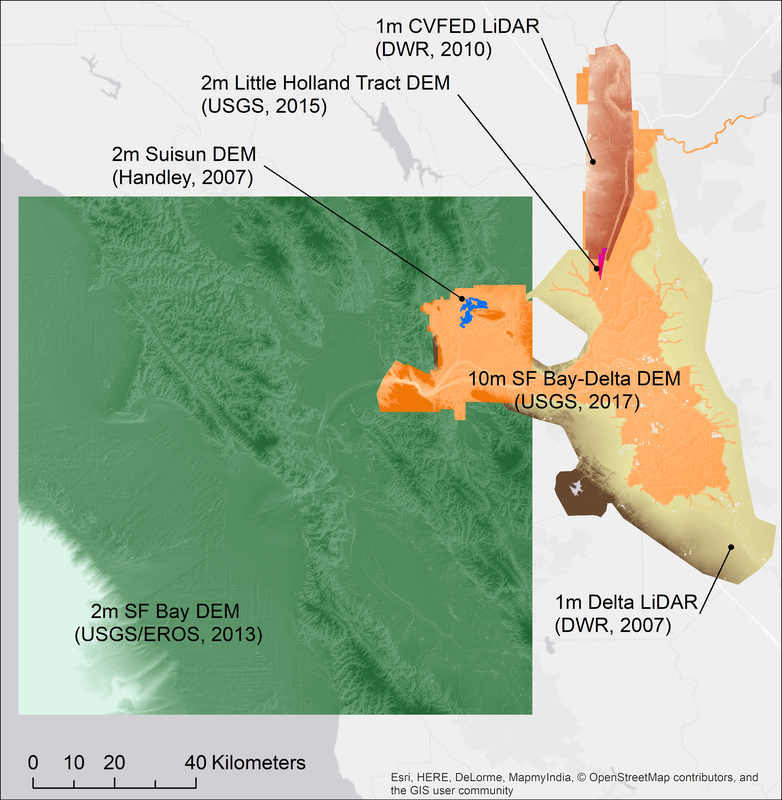 Relative to the previous DWR release (https://data.cnra.ca.gov/dataset/san-francisco-bay-and-sacramento-san-jo...), the 2m DEM product reported here consolidates work at this resolution into a small number of larger surfaces representing approximately one-third of the Delta (link to the Coverage Areas page). 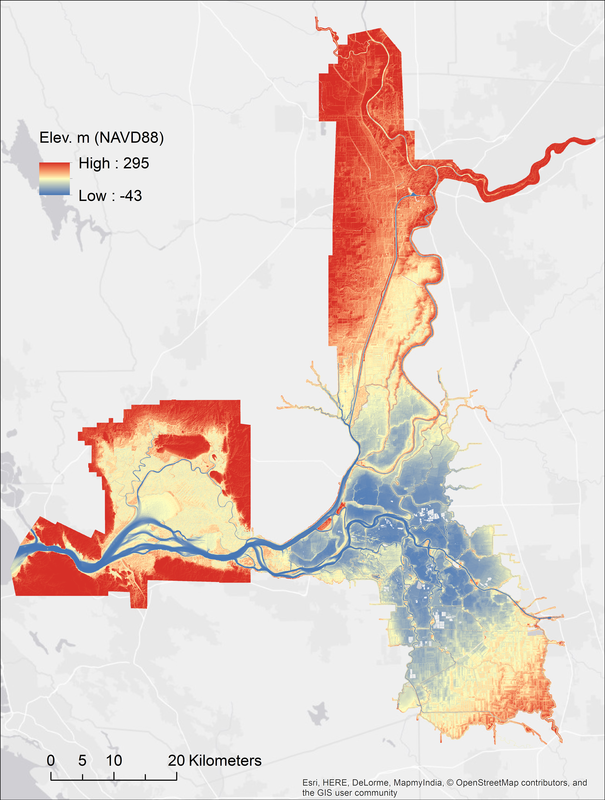 Laterally, the 2m models now extend over the levee crest as needed to match well with Delta LiDAR (http://www.atlas.ca.gov/download.html#/casil/imageryBaseMapsLandCover/li... ), the main terrestrial source of data used in this work. 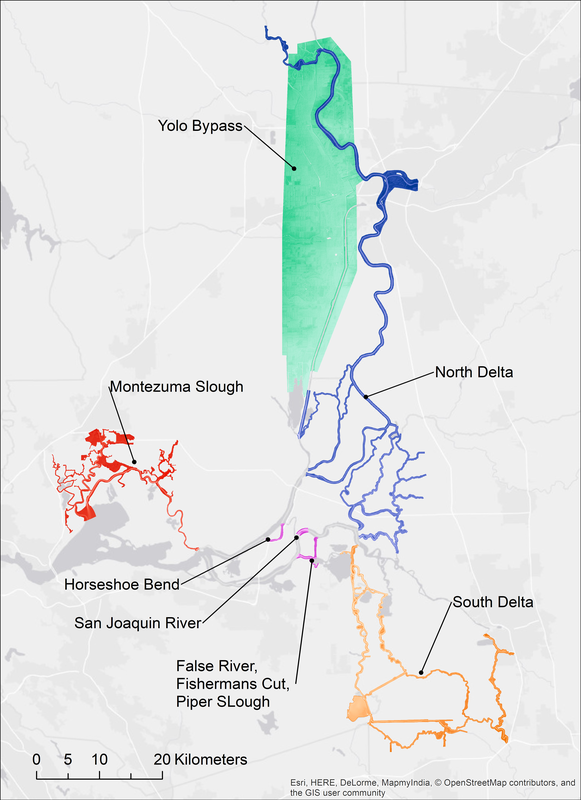 The 10m product (link to the Coverage Areas page) is based on the updated USGS DEM (https://www.sciencebase.gov/catalog/item/58599681e4b01224f329b484 ). 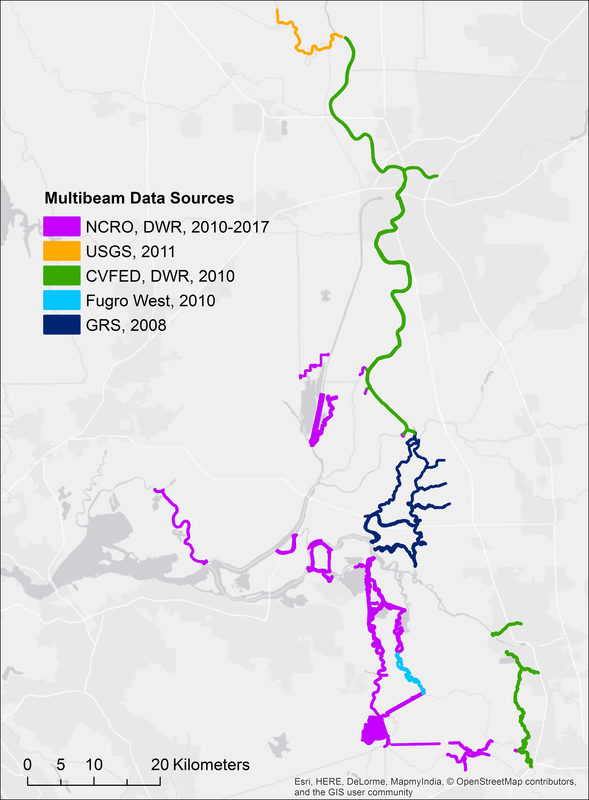 In places where updated 2m models overlap the 10 meters, the 10m base elevation model was updated by resampling the new 2m model and adding levee enforcement. At the border between the 2m and 10m models, the two resolutions were locally edge-matched over a small region to maintain smoothness. 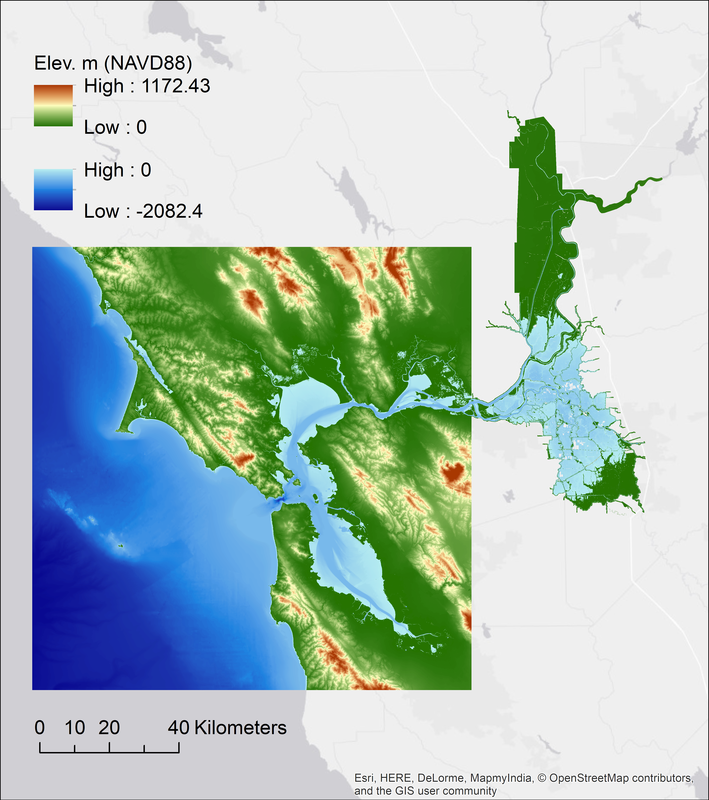 For more information, please refer to the article: A Revised Continuous Surface Elevation Model for Modeling (link to Chapter 5 in the 2018 Annual Report). 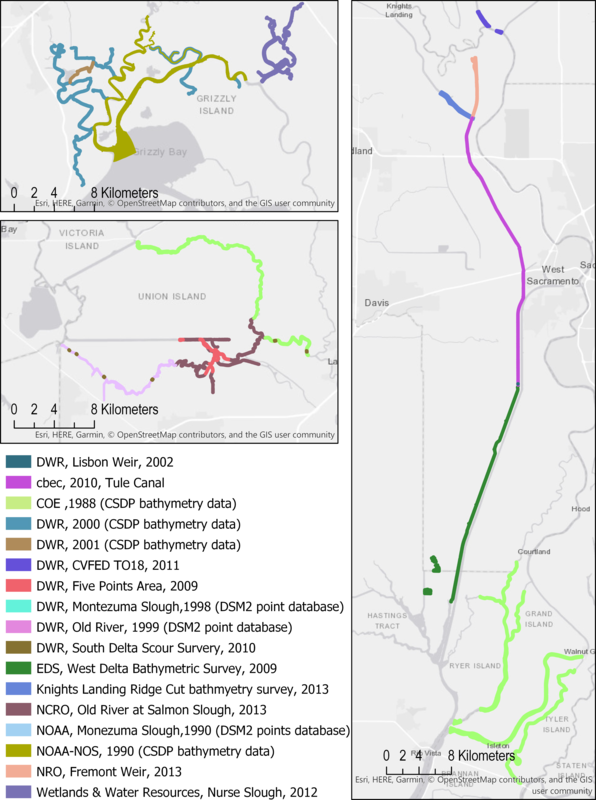 Please note that by agreement with our data providers we distribute only our own integrated maps, not the original source point data.